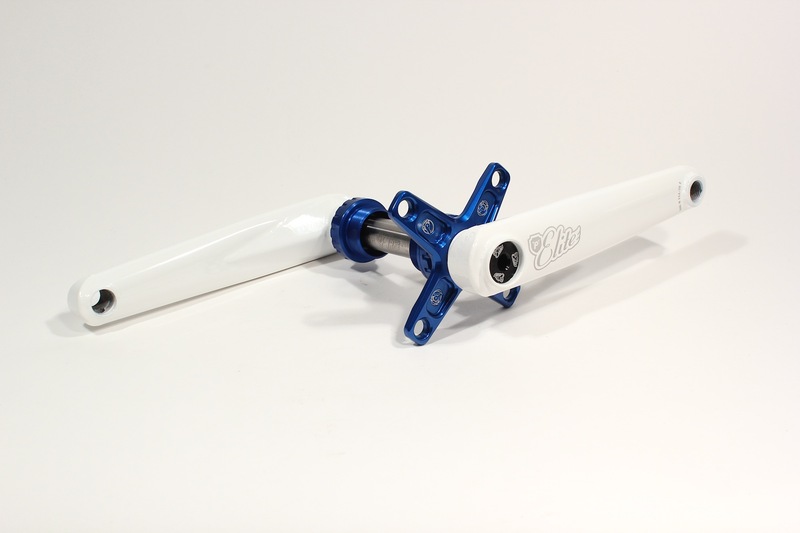 -The Elite is the stiffest crankset we’ve ever made! 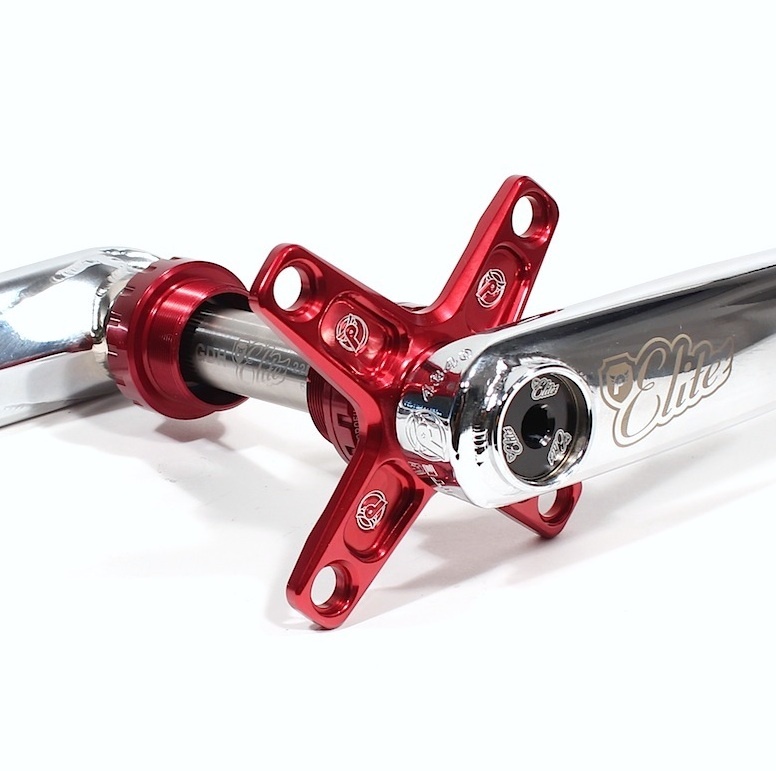 -Oversized and gusseted, the Elite arms are constructed of heat treated 4130 Chromoly. 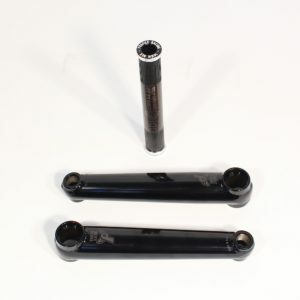 -The Elite crankset includes left & right crank arms, 22mm GDH Titanium axle, 4-bolt spline drive spider & outboard Euro bottom bracket( in a choice of several sizes and colors), and Black 8mm GDH aluminum axle bolts. 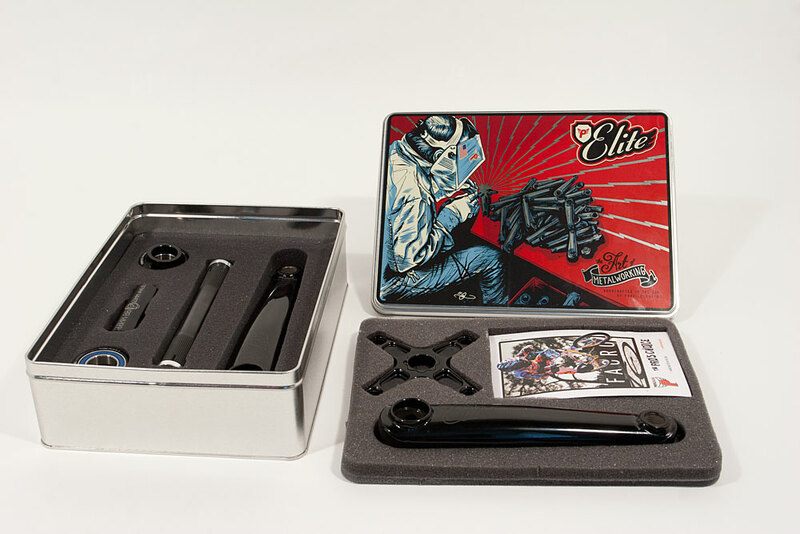 -The Elite Cranks are packaged in a keepsake metal box with original lithograph artwork by Adi Gilbert of Profile’s owner Jim Alley welding Elite crankarms. 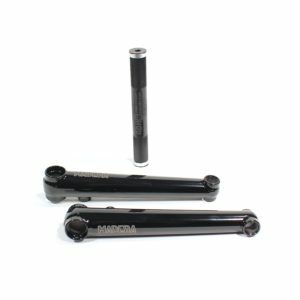 -Just like all of our cranks, they are made in St. Petersburg, Florida, USA. Titanium 6.2", Titanium 6.4", Titanium 6.8"